TARANG's interest in different trends of Indian art expresses itself through all kinds of activities. Apart from a school for classical Indian dance and music (TARANG), TARANG runs an extensive information portal for all aspects of Indian music and dance (TARANG). 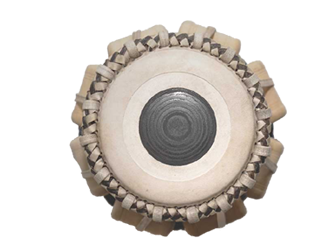 For all Tabla or other Indian drum and percussion enthusiasts we have installed a separate website with online shop: World of Tabla. In this context it seemed only natural to offer a range of other Indian instruments that is just as extensive. TARANG offers Indian instruments in different price categories, from beginner models to professional instruments to special premium instruments which display the craftsmanship of Indian instrument makers. All instruments of the different categories provide the best possible quality standard. This is made possible by a strict choice of the instruments which are included in our product range. We do not offer any instruments that come to the west from doubtful sources via low-price-oriented importers, as these instruments do not comply with our quality standards. For these above mentioned importers, Indian musical instruments are often just merchandise which is simply resold to the end consumer without any quality inspection. TARANG would like to disassociate and separate itself from these business models. The demand from the west is very high in India. The buying prices, especially when large quantities are bought, are negotiated by importers in western countries down to the lowest price limit. This has an effect on the required accuracy and care of manufacturing, the experience and mentality of the commissioned manufacturer and the use of instrument parts which are often of low quality. Irrespective of the qualification of the craftsman, this can lead to results which often do not deserve the name instrument. So it is understandable that, when buying an Indian instrument, it is vital to know where the instrument comes from. The purchase of an Indian musical instrument is all the more a matter of trust as these do not provide any industrial standards. Every instrument that you purchase from TARANG is based on the high demands we have set ourselves to provide you as a customer and as a musician with an excellent musical instrument together with all the factors which are essential to assure this. TARANG delivers mainly instruments made by well-known manufacturers. Of course we understand that, when somebody buys an instrument, they also depend on accessory and spare parts. In this respect we can also satisfy our customers' demands. Should an instrument be damaged, we will arrange appropriate restoration. As a rule, we can deliver every instrument that is offered on our website within one week. All instruments are delivered adjusted and ready to be played. Our international lists of teachers give everybody the opportunity to find a teacher in their proximity. You can expect from us good prices, a fast service and straightforward purchase and delivery procedures. Since we know what joy a good instrument can give, we have strictly selected only the best sources of supply for our instruments to provide you with only outstanding instruments. Economy prices mean for us that they are reasonable compared to the huge efforts that are made in order to be able to provide you, the customer, with the quality and the standards that are usually demanded of a musical instrument. If necessary, an agent in India is charged with the selection of the instruments or he exerts his influence on the manufacturing process in order to safeguard the best quality. Reliable manufacturers accomplish this service of their own accord. As many manufacturers in India often engage subcontractors (that means they do not manufacture all instruments themselves) and also the instruments within their own workshop are made by different craftsmen with different skills and experience, there are naturally significant differences in craftsmanship and sound. Our agent who has good contacts to manufacturers, and also due to his own experience as a musician, takes care that only instruments are selected that are excellent in manufacturing and sound. This special service which in certain areas of purchasing causes expenses that are not insignificant, is worthwhile nevertheless if you want to import good instruments from India. Instruments that still are damaged during transport (which cannot be totally avoided) are professionally overhauled here in Germany. It is especially true for musical instruments that a good product has its price. You will enjoy a good musical instrument for a long time whereas with a low quality instrument you will never experience this joy.